Ever since I saw "La Catrina" in 10th grade Spanish class, I have loved learning more about Dia de los Muertos! Now the traditional Mexican celebration has become more mainstream, thanks in part to its beautiful sugar skull decorations, but I've always loved Mexican and Tejano culture! I lived in Corpus Christi (and Houston!) when I was younger and Selena is one of my favorite classic movies ("Selenasssss")!! If you've never seen Selena, please go get educated and then come back to this post. ;) Coincidentally, I went to a meeting tonight and one of the men showed up with a bag from a panaderia- what a treat!! 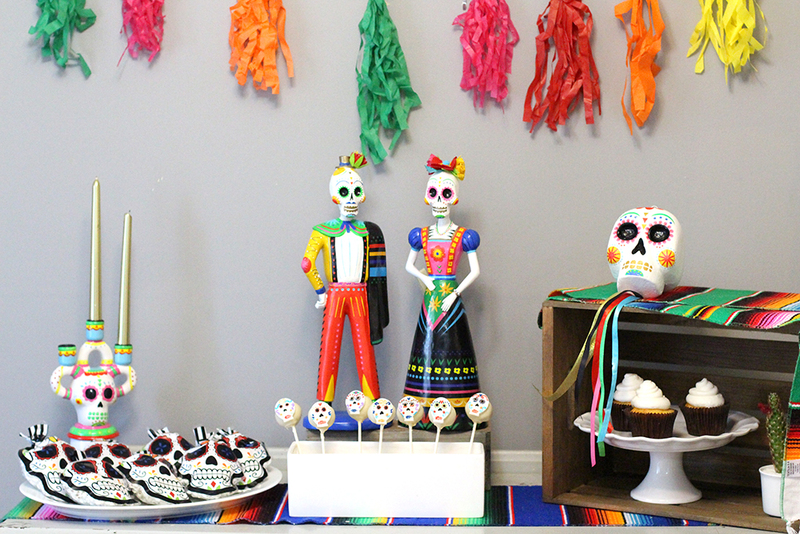 Anyway, I showed you traditional Halloween Decor in a previous post, so now I'm excited to show you how to introduce something new to your Halloween party decor with a Dia de los Muertos theme! 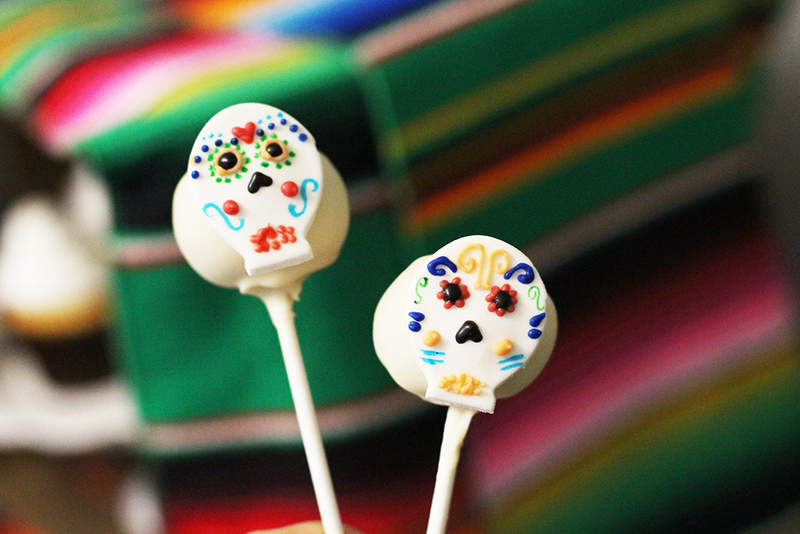 First, let's talk about these adorable cake pops! These are vegan cake pops from Reverie Bakeshop in Richardson! Let me tell you: I was SO excited to finish this photoshoot so I could eat one of these pops! If you have any vegan or gluten free dietary restrictions, you HAVE to visit Reverie for the tastiest treats around! I'll be posting more of their treats on Instagram, but anything I've ever had at Reverie has been so tasty! Once I decided that I wanted to show you some Dia de los Muertos ideas, I started casually browsing for decor and ideas and it was perfect timing because Target has a whole section of Dia de los Muertos themed items right now! I seriously had to stop myself from buying everything I saw and remind myself that a few items can go a long way, especially when they're this colorful and fun! 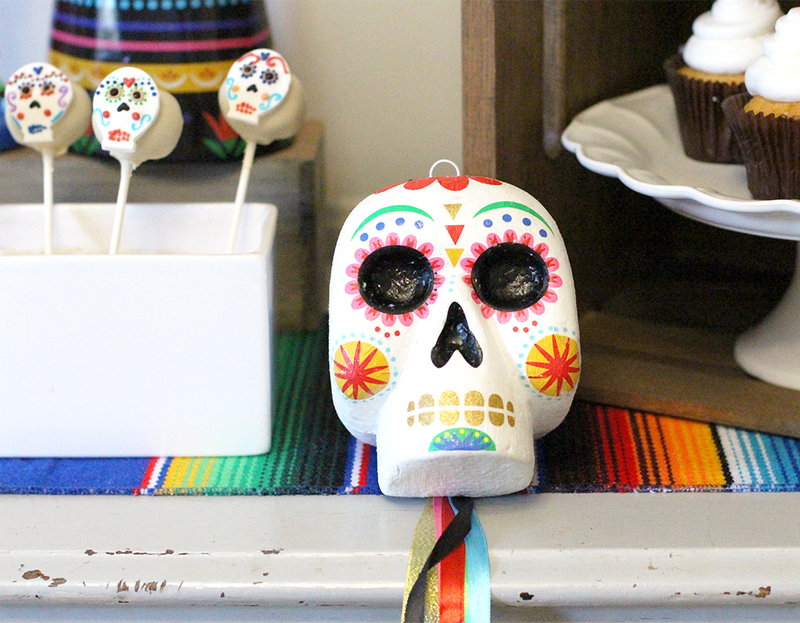 I've linked all of the party decor below, but one of my favorite items I bought is the "calavera" treat bags! I filled them with my go-to white cheddar popcorn and set them out as a food item and as part of the decor- love that they do double duty! Thank you to Reverie Bakeshop and Smallcakes Cupcakery for providing treats for this post!